This is our second special edition episode of Inside Sponsorship episode which focuses on Rugby Union. 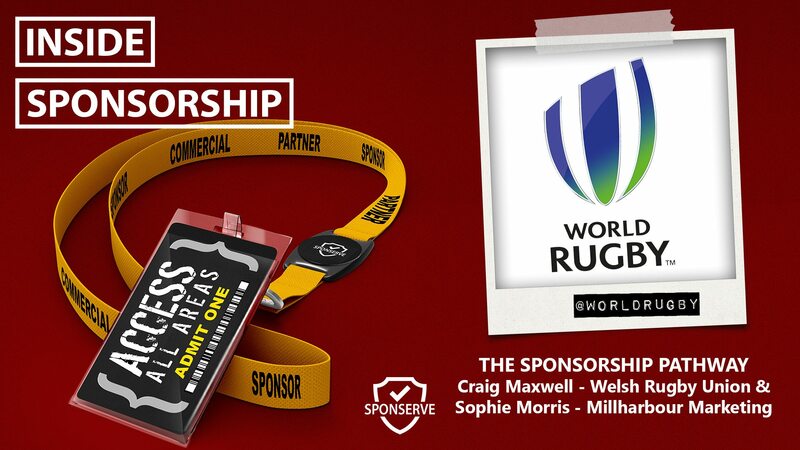 The topic our guests are discussing is “The Sponsorship Pathway – Are You Sponsorship Ready?” which is a panel discussion at the World Rugby Conference and Exhibition in London this month. In this episode we sit down and chat with Sophie Morris, Strategic Marketing & Sponsorship Director, Millharbour Marketing Consultancy as well as Craig Maxwell, Head of Sales and Marketing at Welsh Rugby Union Group. Craig joined the WRU in 2005 as part of the Hospitality team. Between 2004 and 2008 Craig moved through the commercial team to become Group Sponsorship Manager. In 2008 he left the WRU to head up UK & Ireland for Under Armour and was enticed back to the WRU in 2010 as the new Head of Group sales and marketing. We also talk to Sophie Morris from Millharbour Marketing. Sophie is a Chartered Marketer with 15 year’s strategic marketing experience, most recently as a Director of Marketing in Financial Services where she led sponsorship of the Barbarians rugby team for four years. She has held marketing and sponsorship advisory roles at club and County levels of the game, she sat on the RWC2015 Legacy Committees, and currently sits on the RFU’s Rugby Growth Committee. Sophie is a Board Director of the European Sponsorship Association, where she leads the working group that is producing the industry best practice guide to sponsorship measurement, and is a judge of the UK Sponsorship Awards.